Well although there were no winnings to be had last week with the RBC Canadian Open we came close and it went down to the last day – which is all I can ask for. We had Dustin Johnson to win and he was tied for first going into the last round. However although he came tied with Laird and Rahm, the surprising Jhonattan Vegas hit an amazing -8 day. This is a guy that went over par on his first day and he hits a freaking 64 on the final day to take it. Absolutely amazing. We also had Jim Furyk hanging in there and he actually had a fairly solid last day. We needed him to come in 5th or better but unfortunately he was 2 strokes behind that 5th spot. This week all of the interest is in the PGA Championship which begins on July 28th. Dustin Johnson is the favourite for that one and no surprise as he’s in the form of his life at the moment. This years PGA Championship takes place at the Baltusrol Golf Club. For historical information the last PGA Championship held here was in 2005 which Phil Mickelson won. While Dustin Johnson is the most on-form golfer at the moment you can stll make your arguments for Sergio Garcia. Garcia won the Byron Nelson back in May and since then he’s shown impressive form with top 5 finishes in both the US Open and Open Championship. This is a very tricky course but I love Garcias form at the moment and hope he can come in hot. I’m going to be backing Garcia with a half unit to win and E/W. Bet: Sergio Garcia to win and E/W at Bovada for Americans who pay each way bets for a Top 6 place. Can Jason day pull a Tiger Woods and defend his US Championship? I haven’t been too impressed with him lately. I said he wouldn’t come in the top 10 last week at the RBC Canadian Open and while he had a solid performance he came tied for 14th. Prior to that he fairly struggled at the Open Championship although +1 was good for a 22nd place. I’m going to place a small quarter unit bet on Jason Day to win. We know he has the ability and it’s not like he’s in horrendous form or anything – this tournament could really bring the beast out in him. Bet: Bet this at https://www.GTBets.com. 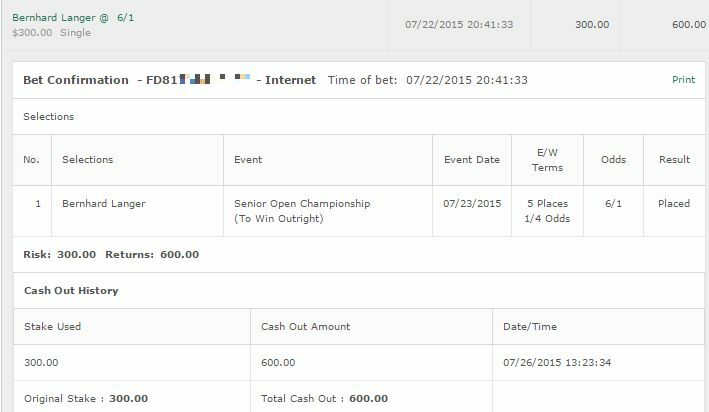 I’m going to place a half unit on Jordan Spieth to win and E/W. His price has drifted rom the 9/1 he opened at to 14/1. 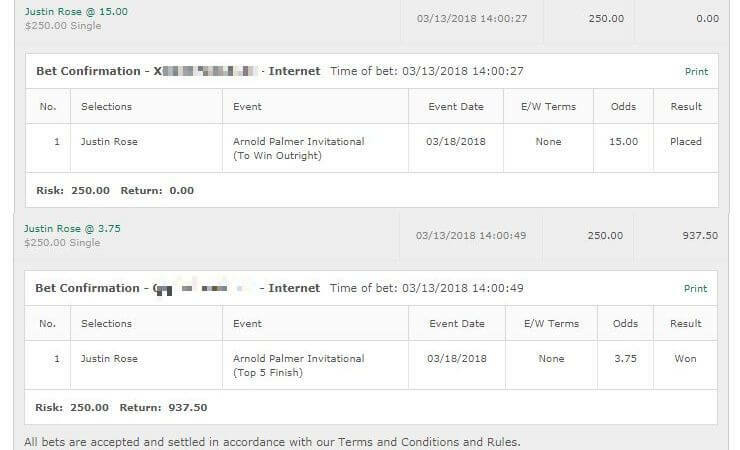 Yeah Spieth is off form but to me that is too high a price for one of the top golfers in the world and I’ll take 14/1 on Spieth any day of the week. 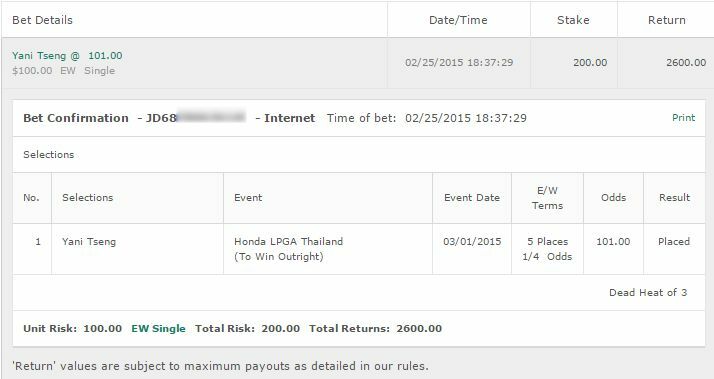 Bet: Jordan Spieth to win and E/W at Bovada for Americans. Snedeker fits into our “next level guys breaking through” category and looks to be coming into form. Half unit to win and E/W.